Call us on 01244 823900 or 07709 303440. 69 Chester Road West, Shotton CH5 1BZ. Free on street parking. Monday-Friday 9.30 – 4.30pm. Amaze yourself with one of our kitchen makeovers that are both easy and affordable. By replacing your kitchen cabinet doors, drawer fronts, worktops and cover panels you can transform your kitchen into a new contemporary one. 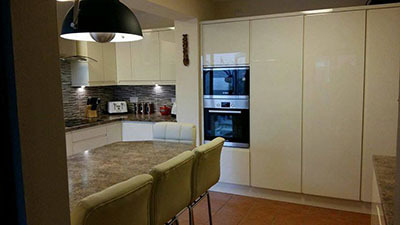 We supply replacement kitchen unit doors to complement and fit any kitchen design. Our long-established association with the leading manufacturers mean consistently high-quality replacement doors and lower prices. We guarantee that our replacement doors are of the highest quality from established cabinet door manufacturers, at a cost that is unbeatable. We offer a range of traditional standard-sized replacement doors and drawer fronts for a convenient swap for old worn doors, as well as bespoke, hand painted ones to fit your uniquely designed kitchen. The existing carcass or frame for your kitchen units remain the same, as these outlive the lifespan of regular cabinet doors and drawer fronts, which get most of the wear and tear. A new front gives the instant appearance of a modern new look for much less than the cost of a complete new kitchen. With our expert advice you can make the right choices on style, colour and design. 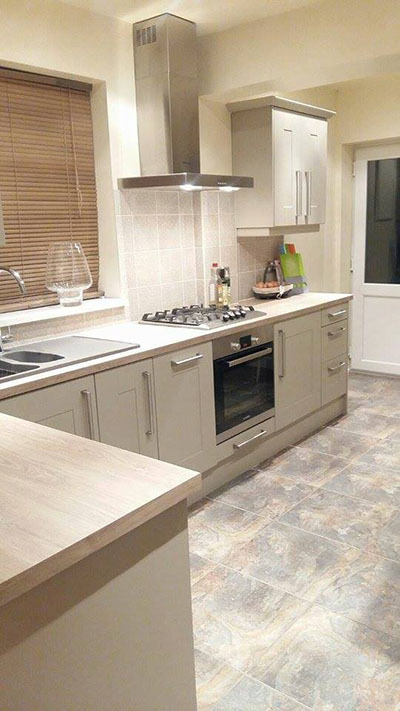 Restyle your kitchen with minimal cost and effort, with the assurances of durable, high-quality replacement doors that will last for years to come. Complete the form below for a no-obligation quote. I consent to Contemporary Kitchens storing my data and contacting me as required. The variety of choices extends from the more traditional styles to a sleek, contemporary finish. High-gloss doors with the ultra modern J-profile handles or handleless cabinet doors; hand-crafted solid wood replacement doors; classic and timeless designs for a traditional or rustic look. There is a wide array of colours to choose from, and the option to have your kitchen doors hand-painted in the exact colour of your choosing. Your choices are endless. Our replacement doors and drawer fronts are available in standard sizes to fit any conventional sized framework including B&Q, Ikea, Wickes, Howdens, Homebase, Magnet and Benchmarx ranges. We also supply made to measure cabinet doors for bespoke kitchens, houseboats and other unconventional spaces. We will supply units, handles and other components that are needed to redecorate your new kitchen. Why not call now to have a chat about what is right for you? 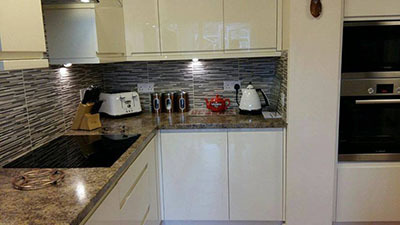 We are more than happy to answer any questions you might have on how to refurbish your kitchen. Contact us for a no-obligation quote. 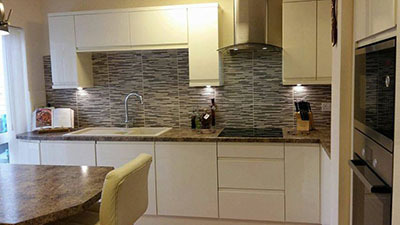 We work with all the major suppliers of kitchen units, doors, worktops and accessories and are not tied to one supplier. If you see a kitchen style you like we will be able to source all materials at a competitive price. Farrow and Ball paints are very popular and we can match any of there colours – find out more here.